The Private Label refillable Salt Grinders from NATURAL BIO STORE Finest Selection are supplied with lote-number and without labels, ready to apply your own labels or brand name! 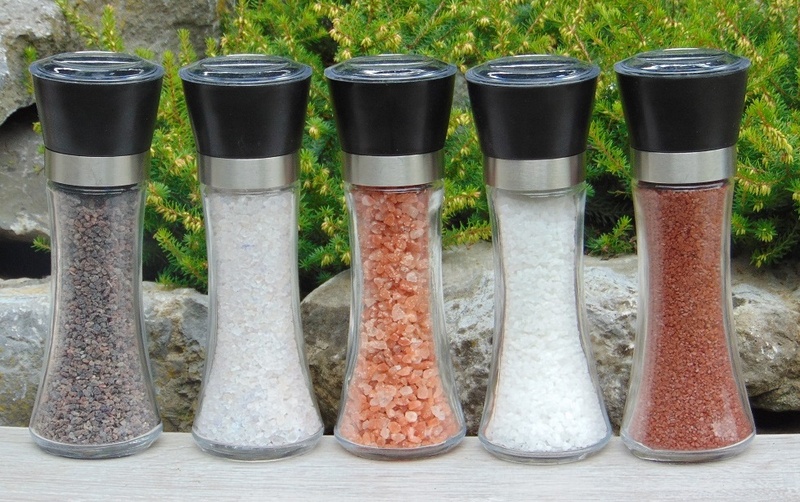 These Refillable Salt Grinders contain Exclusive and Unrefined Salt, ready for consumption and are made of crystal glass. The screw cap is made of plastic and is therefore also replaceable. Refill packages (Stand Up Pouches) are also available for all these variants! View all Private Label Stand Up Pouches here. All Natural Bio Store products are European certified products, ready-to-use for consumption! ALL WHOLESALE PRICES ON REQUEST. For a tailor-made offer, contact us via info@naturalbiostore.com! PRIVATE LABEL SALT GRINDERS UNREFINED SALT at NATURAL BIO STORE!